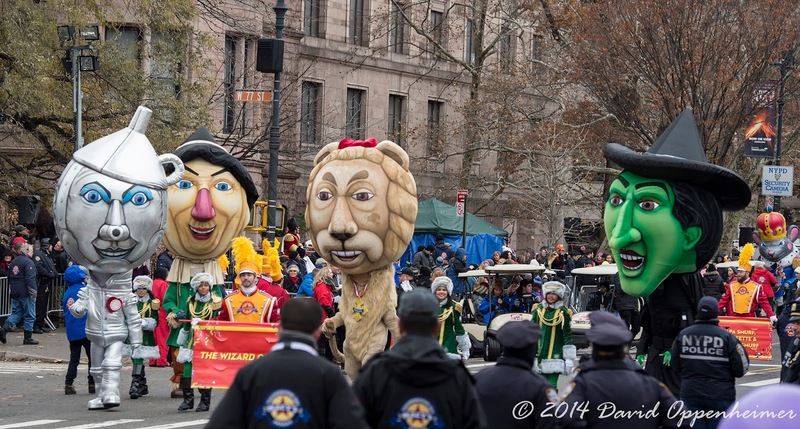 One of the greatest spectacles in American show business once again came to New York City on Thanksgiving Day. 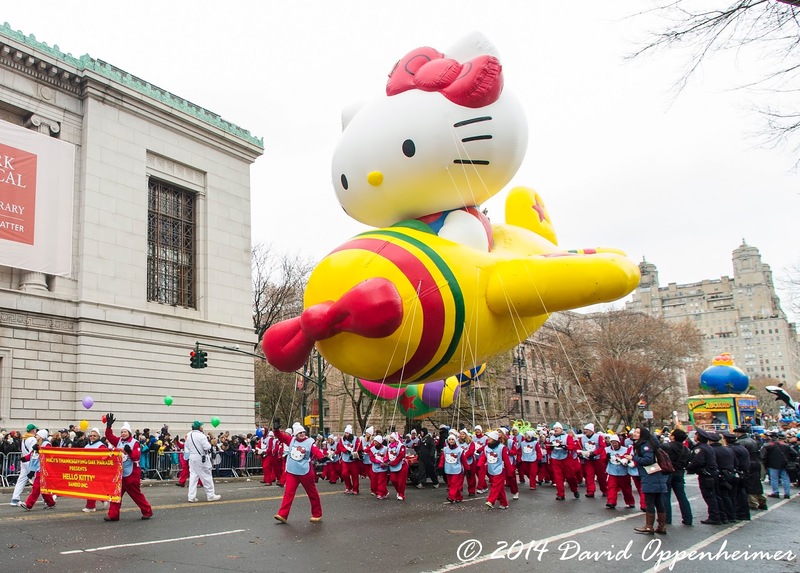 The Macy’s Thanksgiving Day Parade, in its 88th year swept through the streets to a live audience of 3.5 million. That is in addition to the 50 million watching at home on NBC. 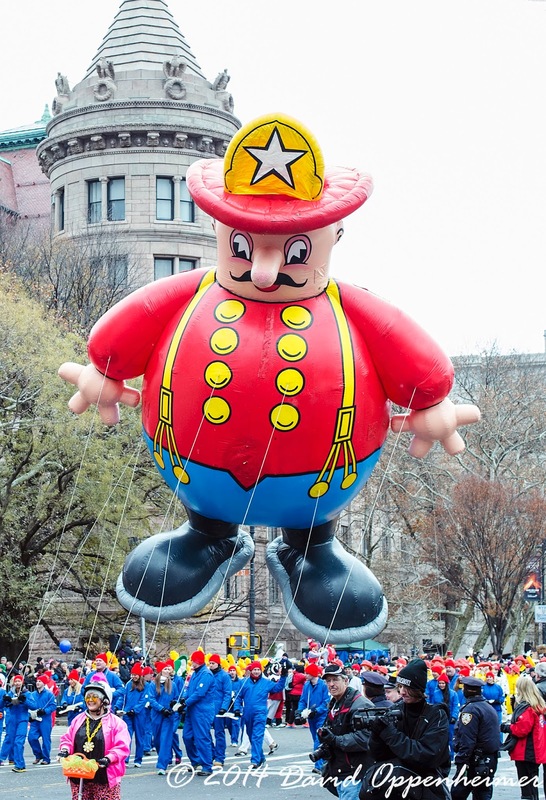 The Macy’s Thanksgiving Day Parade features massive helium balloons, floats, guest musical appearances, marching bands, celebrity appearances, and to top it off, Santa Clause. This magical event has been going on since 1924 and used to feature lions, tigers, camels, bears, goats, and elephants. Santa Claus himself has always ended the parade except for one year when he started it off. In recent times, they have added “Falloons” (float and cold air balloon hybrid), Balloonicles (balloon and vehicle hybrid) and “Trycaloons” (part tricycle part balloon). The parade strolls through Manhattan, the most densely populated borough of New York. 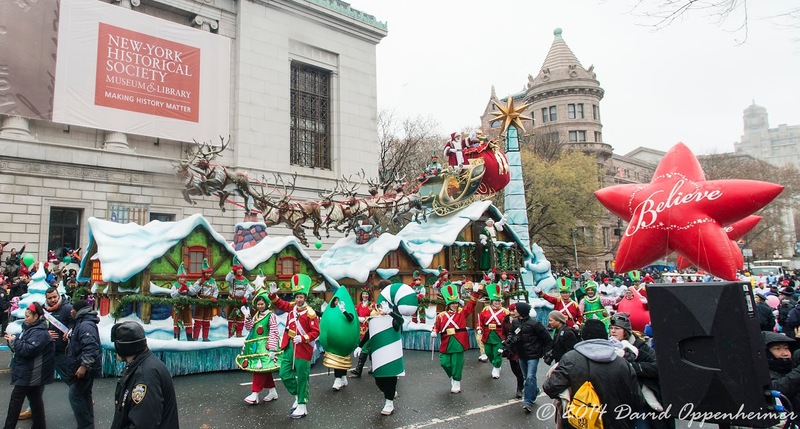 It starts on the west side of Central Park on 77th St. and finishes at Macy’s on 34th St. The Wizard of Oz Balloonheads by Warner Bros. Home Entertainment. 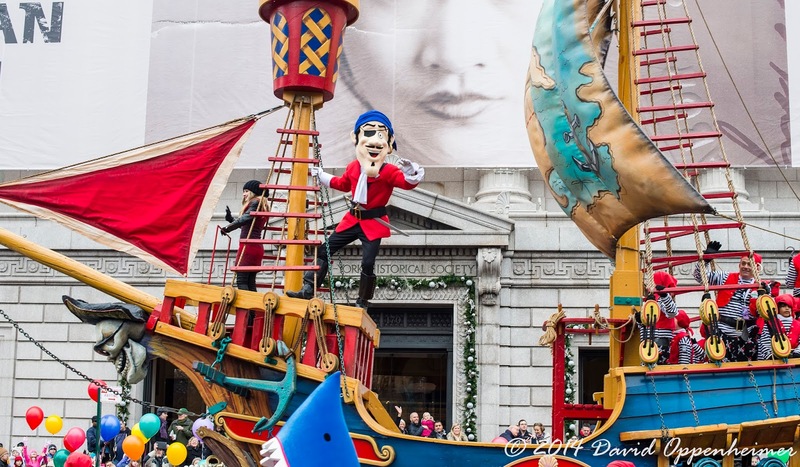 This year marks the 75th anniversary of the float from the classic book and movie being included in the parade. Dorothy made an appearance along with the Scarecrow, Tin Man, Cowardly Lion, and the Wicked Witch of the West. 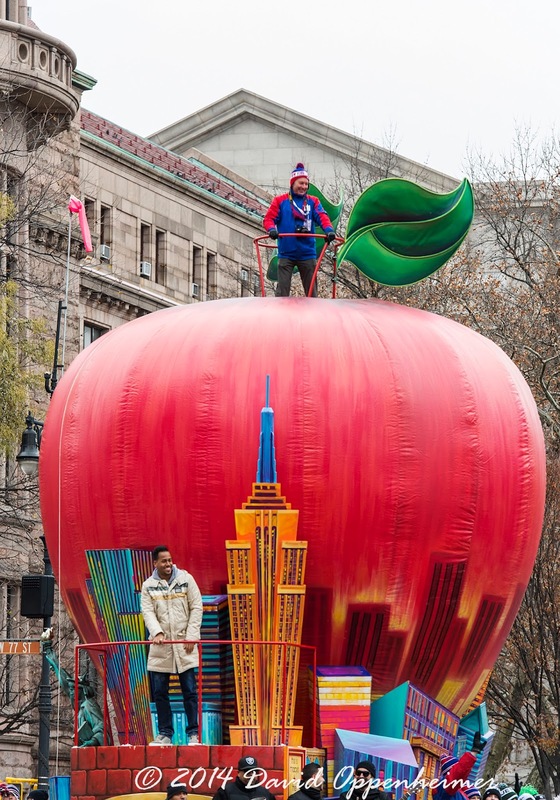 Big Apple by NY Daily News – Included the Empire State Building, the Chrysler Building, Macy’s and a 30-foot giant apple. 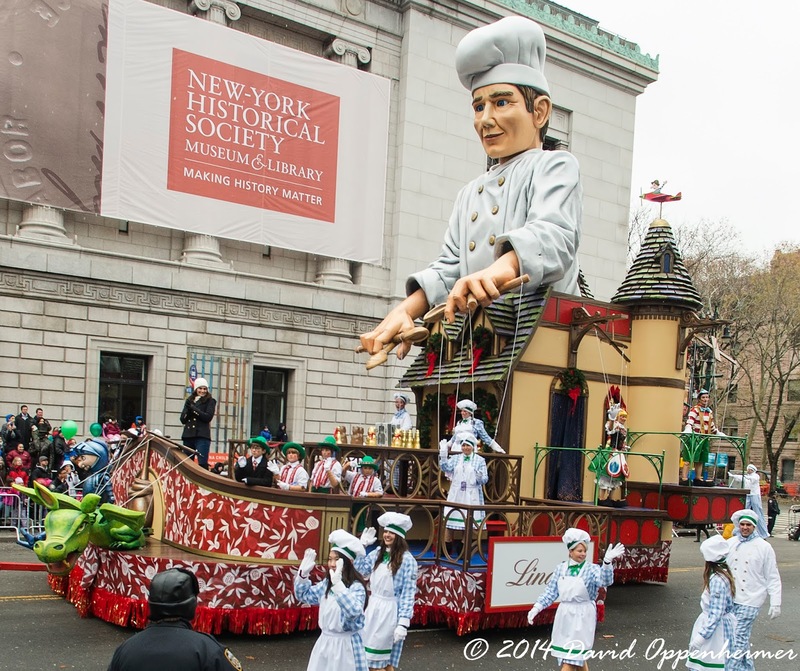 This float featured performances by The King of Bachata and Romeo Santos. Spider-Man by Marvel Entertainment & Sony Pictures Entertainment- This 78 feet long by 38 feet wide by 29 feet tall floating Spider-Man is celebrating his hit animated series Marvel’s Ultimate Spider-Man: Web Warriors. 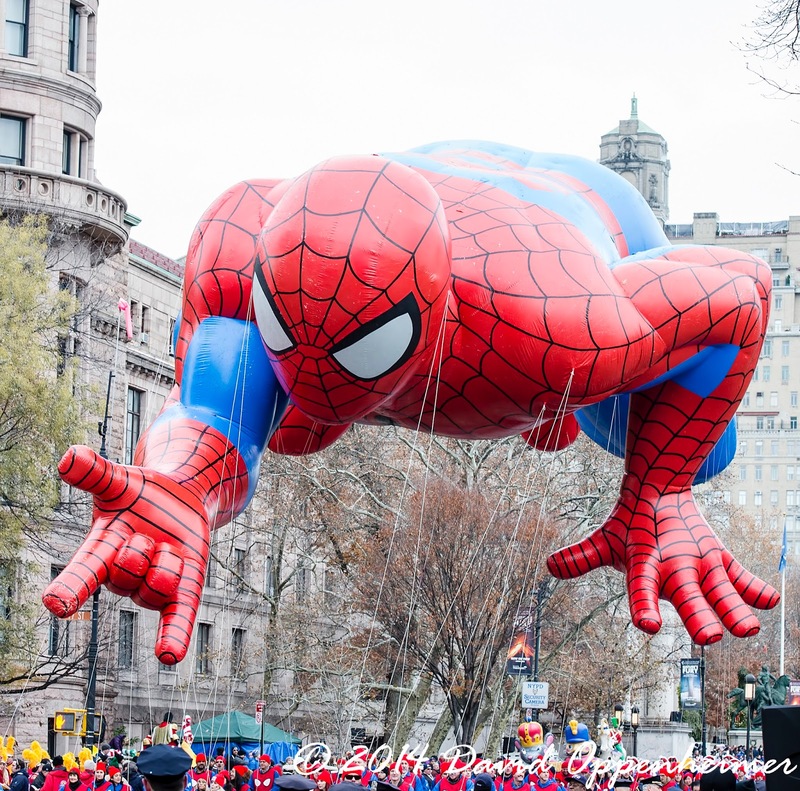 Spider-Man is the longest balloon in the parade. Spongebob Squarepants by Nickelodeon- Spongebob came to celebrate the upcoming 3D film from Paramount Pictures coming out in 2015. 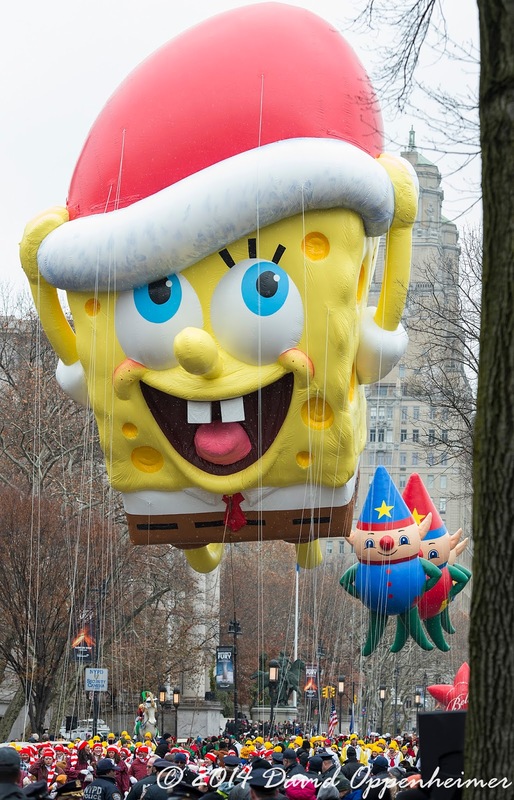 The Spongebob balloon requires over 800 internal tie-lines and is the first square balloon in the parade. 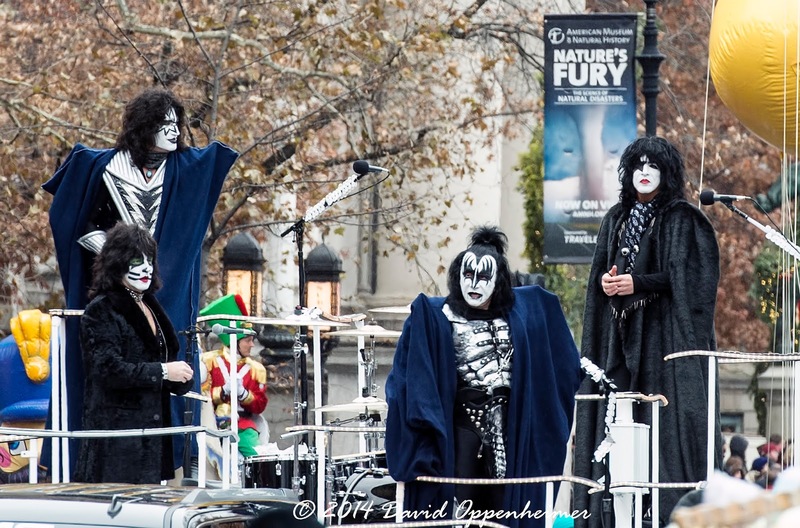 Pep Rally Float by Spirit of America Productions – The Pep Rally Float featured a moving performance by rock legends KISS and was led by party-starting children. Mount Rushmore’s American Pride by South Dakota Department of Tourism – Featured the beautiful landscape of one of America’s most well-known monuments, Mount Rushmore. 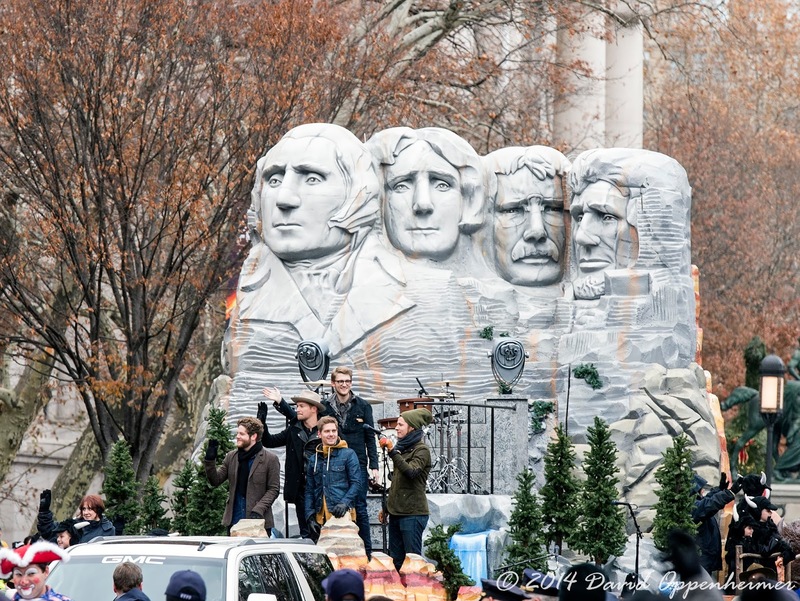 Accompanying this massive float was the rock band Needtobreathe. 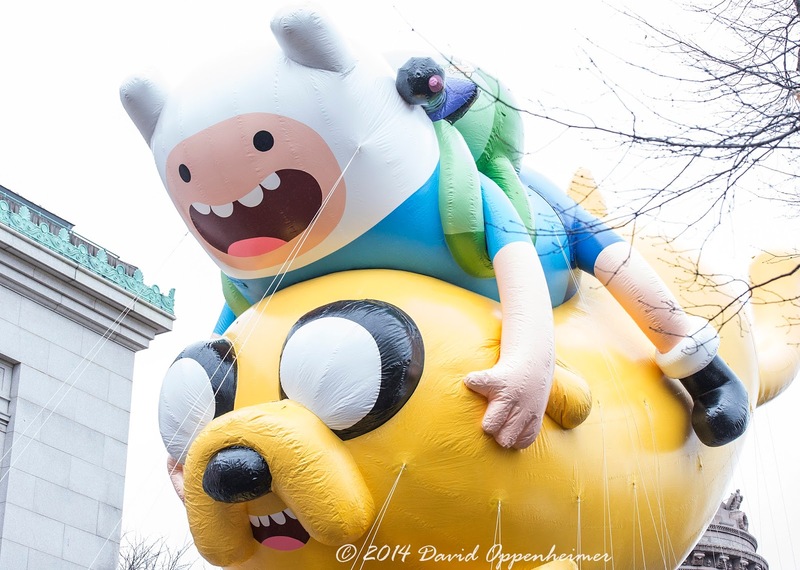 Adventure Time with Finn & Jake by Cartoon Network – Finn and Jake from the hit series Adventure Time returned for their second Thanksgiving Parade. This balloon measured 57 ft. by 26 ft. by 40 ft.
Beauty of Beijing by Sino-American Friendship Association – This float was a true journey to China in its first year at the Parade. Beauty of Beijing featured the Great Wall, Temple of Heaven, giant lanterns, and guard lions. 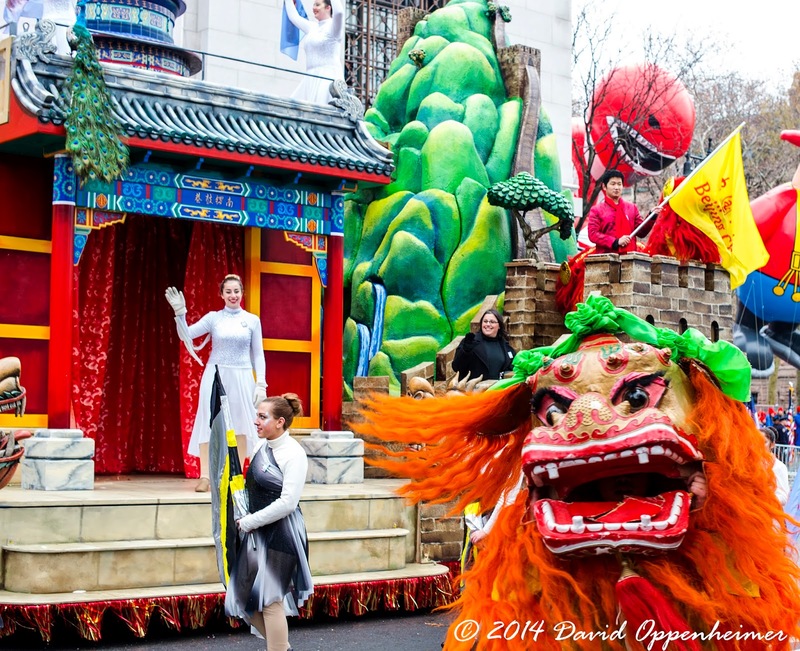 Also featured in this float was the Chinese-American Performance Ensemble. 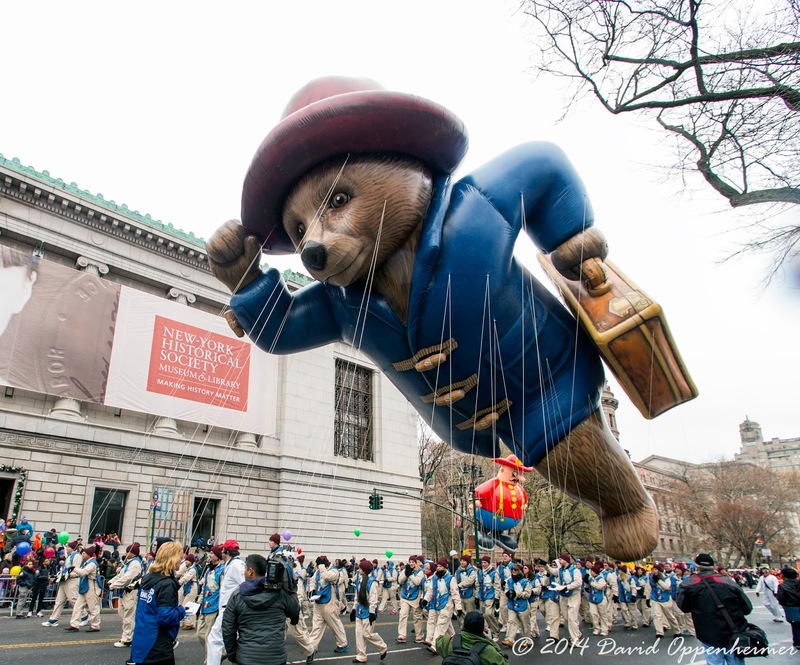 Paddington by The Weinstein Company – Paddington the Bear made his first appearance at the Macy’s Thanksgiving Day Parade this year. He was in town to promote his new movie coming out in January 2015. Paddington was 54 feet long, 36 feet wide and 60 feet tall. International Cele-Bear-Ation Clock Tower by Build-A-Bear Workshop - This float is a celebration for everyone’s favorite childhood friend, the Teddy Bear. Bearamy the Bear was there with both his human friends and his furry animal friends. 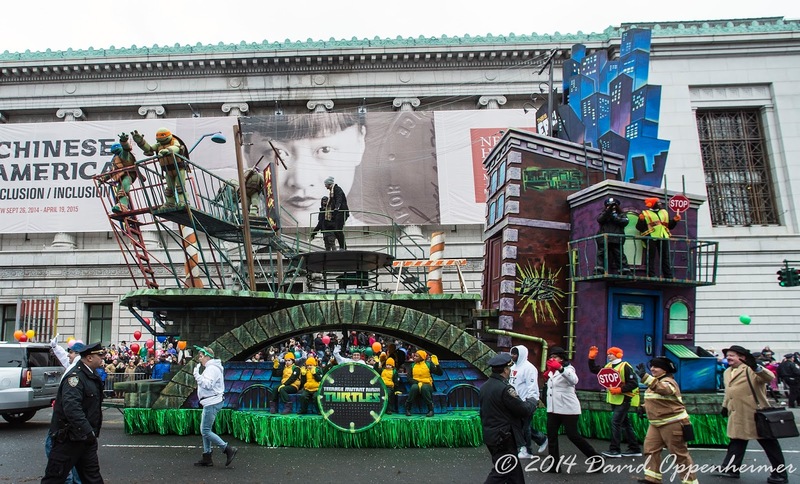 This float also featured the Oscar Nominated actress, Quvenzhane Wallis, who is the star of the upcoming film, Annie. Dreamseeker by Cirque Du Soleil –The Canadian circus troupe, Cirque Du Soleil is regarded as one of the best live performances to see worldwide. Their float, Dreamseeker was a moving performance with acrobatics, trampolines, and more. Their float seemed to take flight with its giant wings. Dreamseeker was one of the largest in the parade. 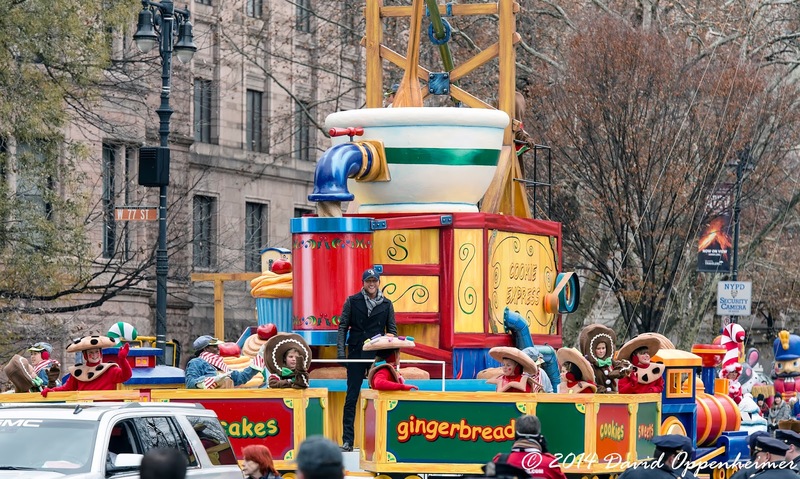 Stirrin’ Up Sweet Sensations by Domino Sugar – This float, the Cookie Express, featured a giant cookie bowl and cookie press. Stirrin’ Up Sweet Sensations also featured a performance by country music star Cole Swindell. 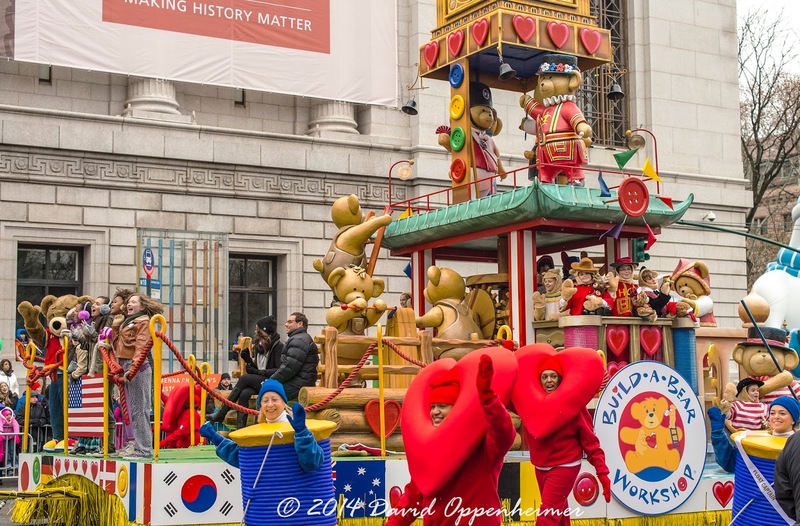 Dora and Friends: Aventuras Fantasticas by Nickelodeon – Dora, the famed Nickelodeon Character came to New York for her first time at the Macy’s Thanksgiving Day Parade to give spectators a look at her colorful float. 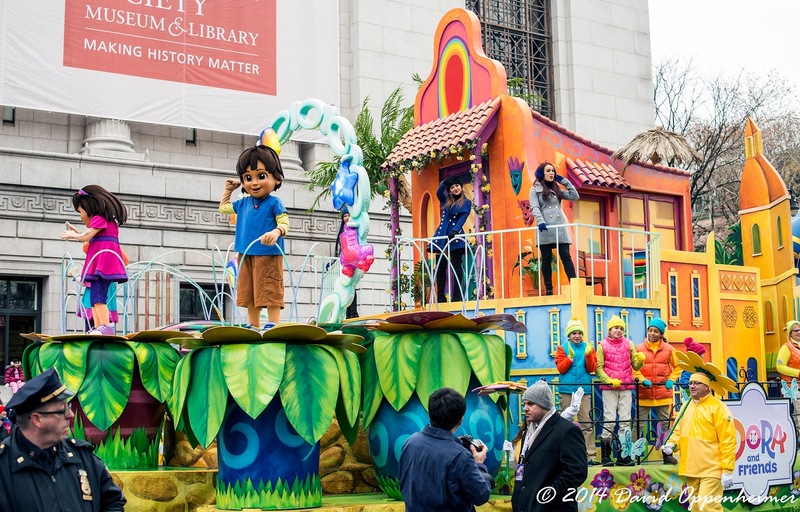 Dora also came to the parade with the pop sensation Becky G, who gave a spectacular performance. Skylanders Eruptor by Activision Publishing Inc. – Eruptor, the fiery character from the Activision video game series, Skylanders, made his first appearance this year. His balloon required 40+ gallons of florescent paint and five barrels of glitter, along with dozens of people holding his strings. Goldfish On Parade by Pepperage Farm Goldish – This float was lead the head Goldfish, Finn, and his friends Gilbert, Brooke, and Xtreme. Finn was held high in the air with his majestic top hat. Their float was created from oversized everyday objects such as pencils, straws, and thumbtacks. 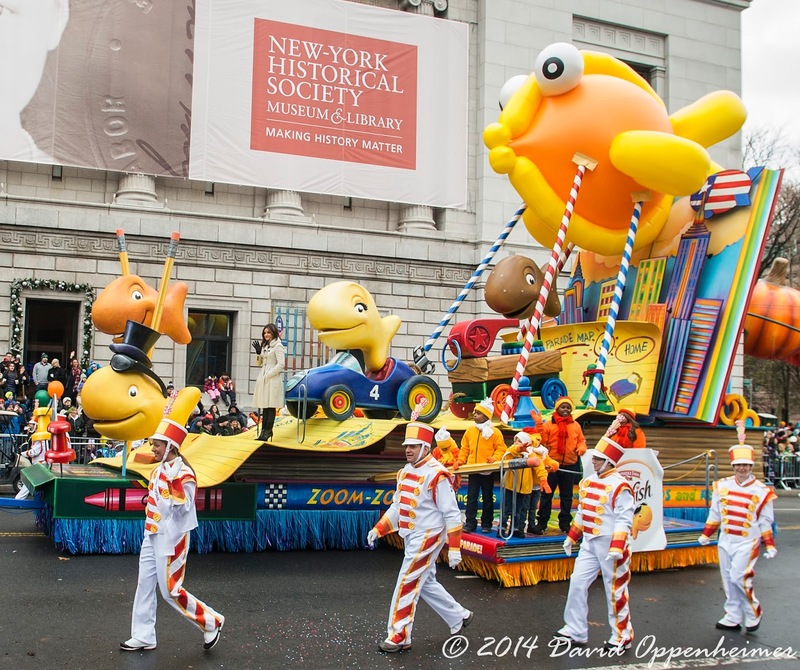 Goldfish on Parade was also accompanied by Hollywoods Records Artist and star of Pretty Little Liars, Lucy Hale. 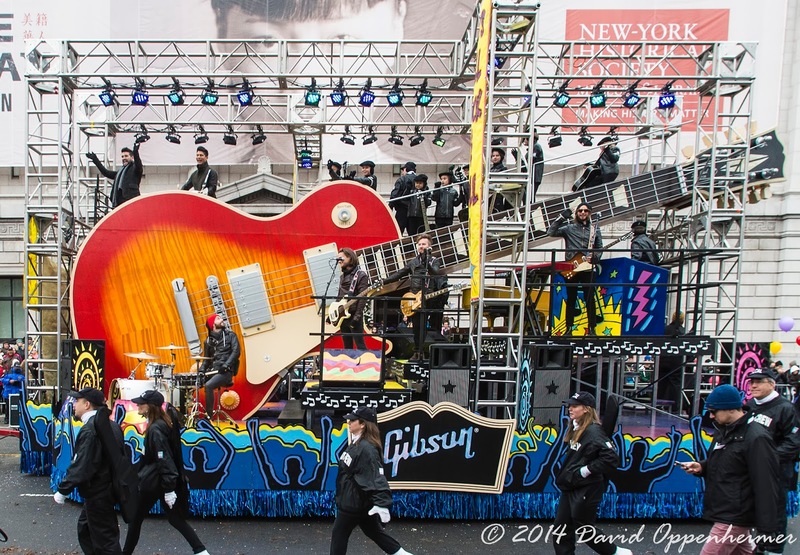 It’s All Rock and Roll by Gibson Brands – This massive float was a tribute to one of the most influential instruments of all time, the guitar. It’s All Rock and Roll featured an oversized Gibson “Les Paul” Guitar as its centerpiece with a stage complete with lights, amps, and stage rigging. Performing on the stage was country music duo Dan + Shay. Harold the Fireman and Harold the Policeman – Harold has been a character in the Macy’s Thanksgiving Day Parade since 1945, first appearing as a clown. He was then a fireman and then a policeman. This year, Harold was both a fireman and a policeman. Hello Kitty by Sanrio Inc.
Hello Kitty by Sanrio Inc. – Featuring a six foot bow, Hello Kitty came to the parade to celebrate her 40th anniversary. Hello Kitty is a staple in Japanese culture since 1974, and came to New York to bedazzle spectators while flying on her fabulous airplane. 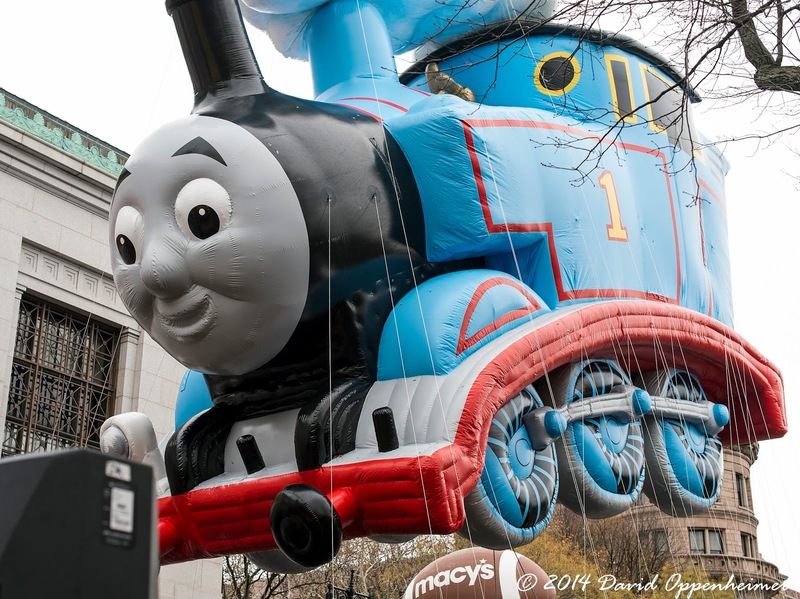 Thomas the Tank Engine by Mattel Inc. – Thomas the Tank Engine, from the ever popular Thomas & Friends animated series made his first ever appearance at this year’s parade. Thomas has been making children happy for decades, and he definitely has not run out of steam. Thomas the Tank Engine is the largest helium balloon and contains the most balloon fabric ever used to design one character. 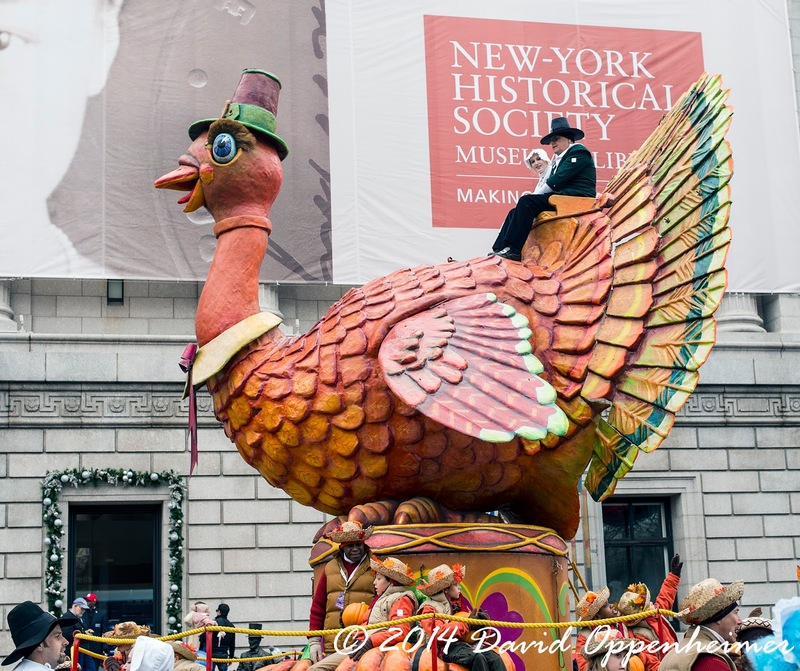 Tom Turkey – Tom Turkey returned once again as one of the main floats in the Macy’s Thanksgiving Day Parade. Tom has been leading the parade since his introduction in 1971. Tom was joined by two pilgrims riding high and plenty of pumpkins to go around. Also along for the ride was television chef and author Sandra Lee. Marion-Carole Showboat – The Marion-Carole Showboat float is a 42-foot long steamboat replica complete with a paddlewheel and twin smokestacks. 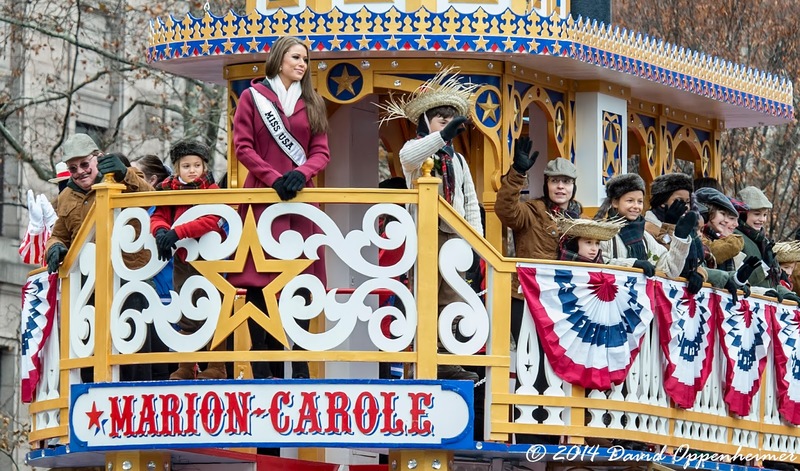 The Showboat presented performances by MAC Award winning cabaret artist William Blake and Miss USA 2014, Nia Sanchez. 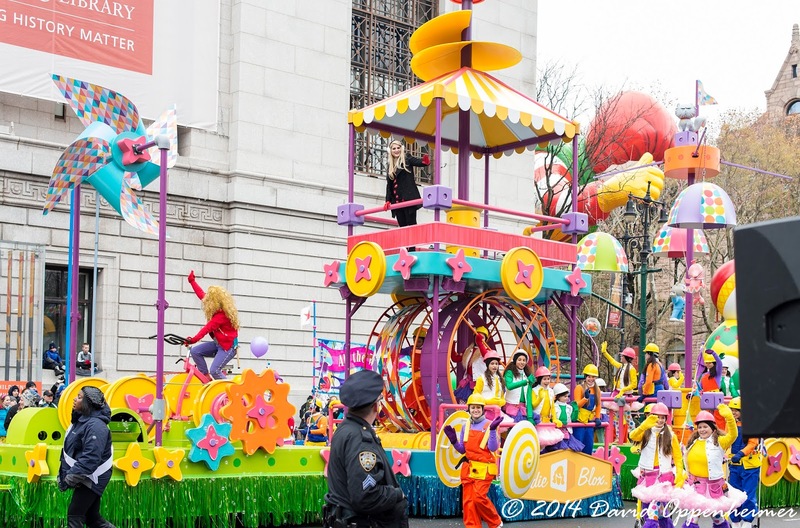 The Girl-Powered Spinning Machine by Goldieblox – This all new float came to the parade to set a good example to girls of all ages. The Spinning Machine was designed by Goldieblox to showcase the basic principles of engineering in an effort to bring science, technology, engineering, and math to life. It used kid power to make the float work. The Girl-Powered Spinning Machine also served as a stage for a performance by pop sensation Meghan Trainor. Papa Smurf by Sony Pictures Animation – Coming back for his 7th year, the gigantic Papa Smurf balloon floated charismatically through the streets. 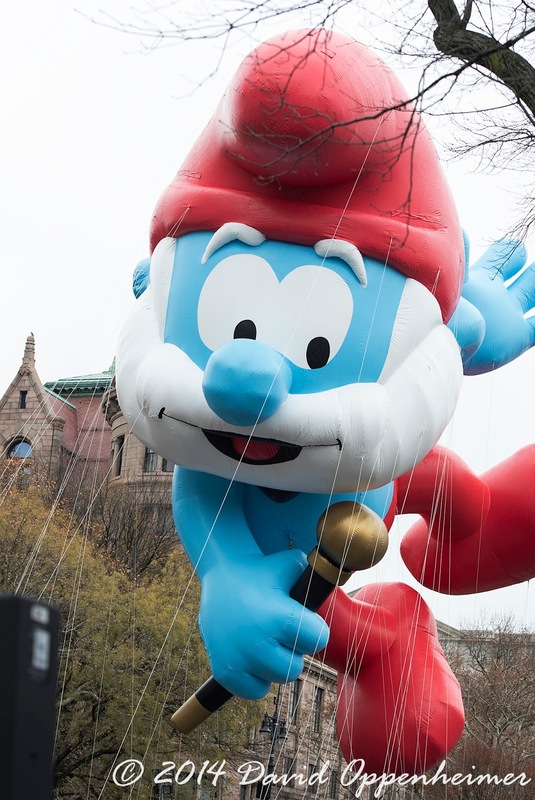 Papa Smurf has been one of America’s favorite characters since his debut in 1958 and a favorite at the Macy’s Thanksgiving Day Parade since his balloon’s debut in 2008. The Smurfs float featured a performance by the Macy’s iHeartRadio Rising Star winners, Before You Exit. On the Roll Again by Homewood Suite by Hilton – Lewis the Duck and his family made a delightful appearance at this year’s parade. Along with his signature red-striped tie, Lewis was joined by his wife Lois, and his kids Lance and Lisa. The winners of NBC’s Sing Off, Pentatonix, joined On the Roll Again for a live performance. Pikachu by The Pokemon Company International – Holiday Pikachu made his debut as his third incarnation, this time donning holiday attire and coming with his snowy friend. 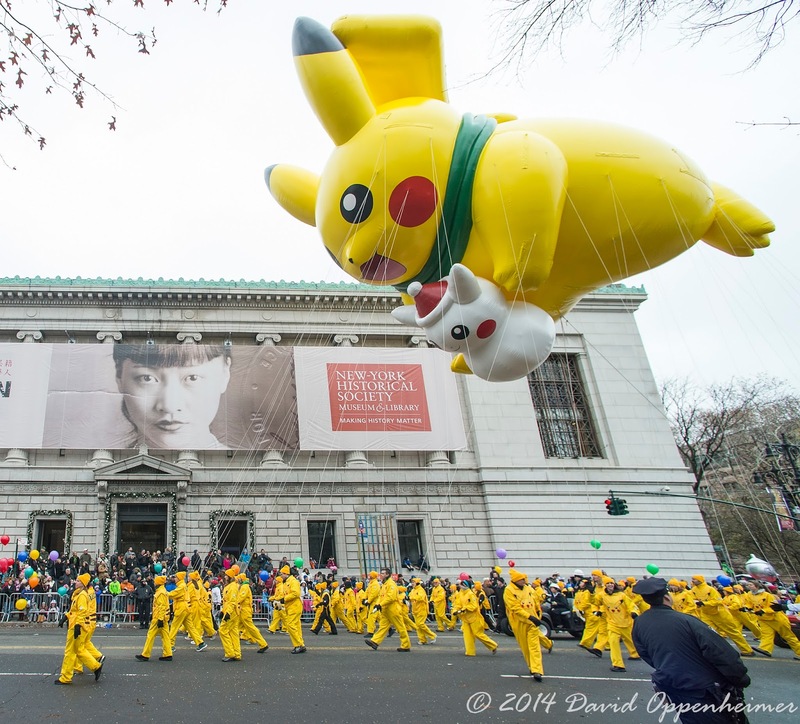 Pikachu came to the parade to celebrate the launch of the new Pokemon games Omega Ruby and Alpha Sapphire. 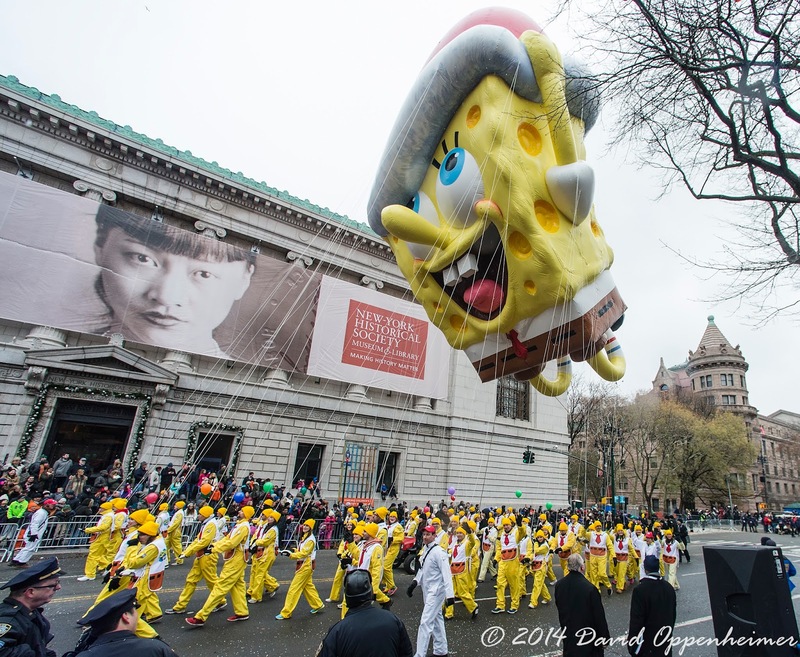 Pillsbury Doughboy by Pillsbury – The lovable American TV icon once again joined the Thanksgiving Parade for his sixth year. 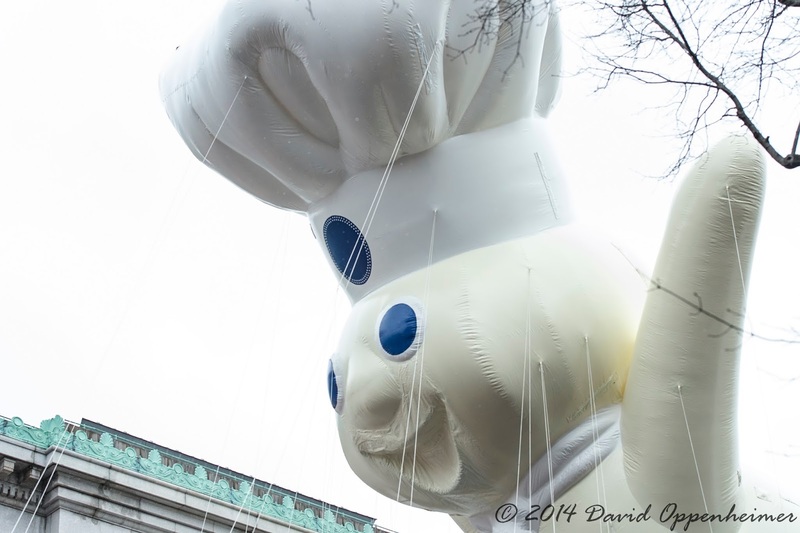 The giant doughboy measured in at 54-feet long, 34-feet wide, and 46-feet tall. 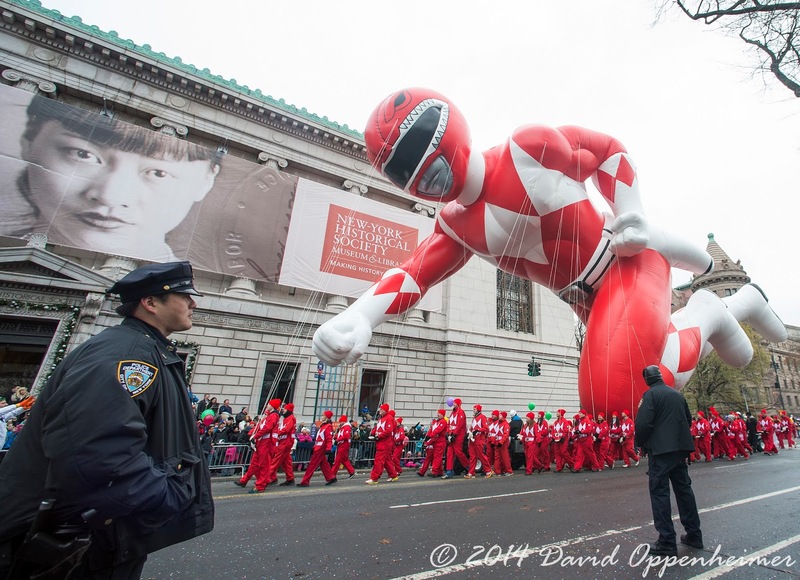 Red Mighty Morphin Power Ranger by Power Rangers – Making his first ever Macy’s Thanksgiving Day Parade appearance, the Red Ranger, at 77-feet long and 56-feet tall is one of the longest and tallest balloons in the parade. The Red Ranger has been the lead Power Ranger since their beginning in 1994. Winter Wonderland in Central Park by Delta Airlines Inc. – This float is an incarnation of one of the greatest spectacles in New York City: Central Park. You could see a recreation of Central Park’s Gothic Bridge, vintage streetlights, illuminated Christmas trees, and snow. Winter Wonderland hosted a performance by opera superstar and National Meda of the Arts, Renee Fleming. 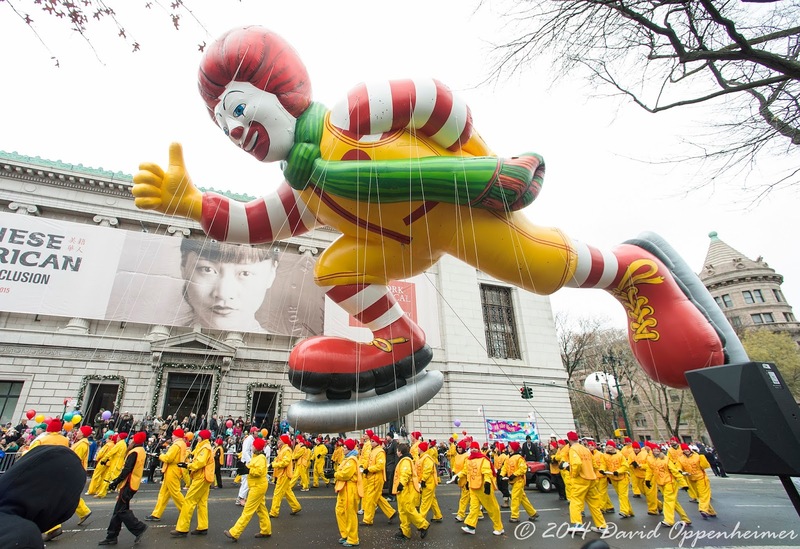 Ronald McDonald by McDonald’s – Ronald McDonald wearing ice skates made his way through the parade as the most famous clown in the country. 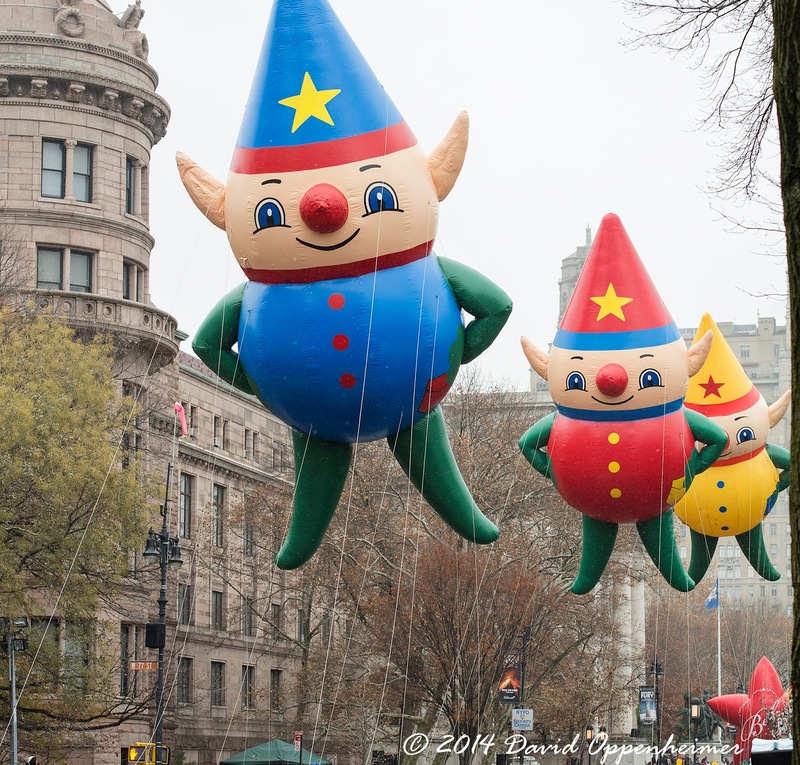 He has been appearing in the Macy’s Thanksgiving Day Parade since 1966. He measured 76-feet long, 28-feet wide, and 48-feet tall. Waves of Conservation by Seaworld – Waves of Conservation featured all sorts of sea life from whales, to angelfish to sharks. 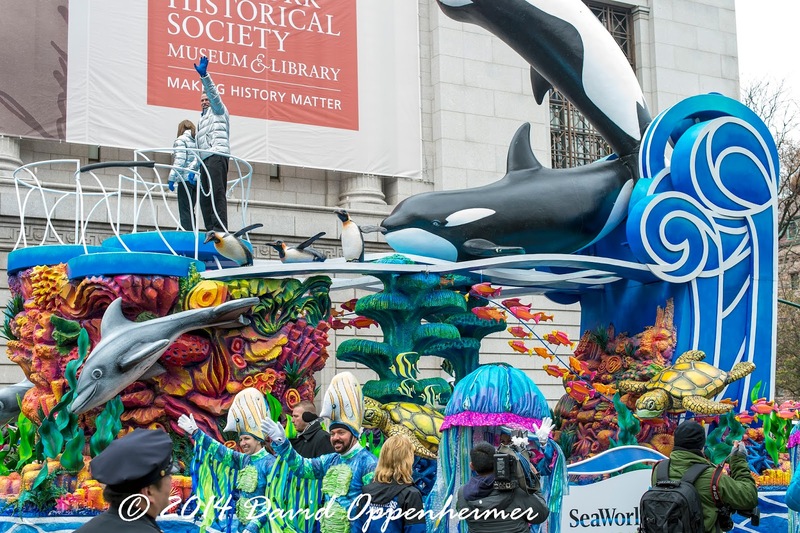 This float has been around for fifty years inspiring the patrons of the parade to help conserve ocean life. Waves of Conservation also featured a performance by the SeaWord Animal Ambassadors. 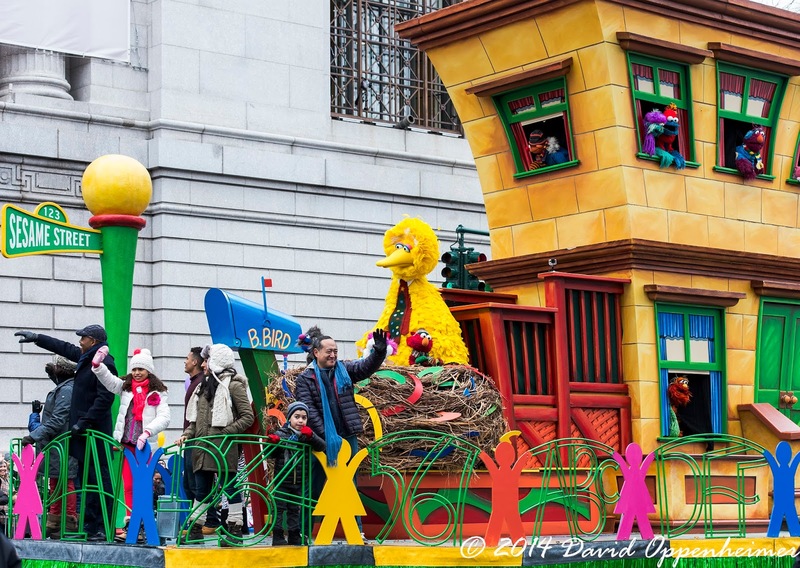 1-2-3 Sesame Street by Sesame Workshop – The Sesame Street float, in its 45th year, inspires children from all over the world. Sesame Street has been entertaining and teaching kids for so long that they are a worldwide favorite. 1-2-3 Sesame Street had Big Bird, Grover, Elmo, Bert and Ernie, and the rest of the cast. Daytime, Play Time, Night Time Too… by Sprout – Sprout TV’s float is specifically designed to invoke preschoolers’ imagination. Folks were gathered atop the You and Me Tree next to the Sunshine Barn. 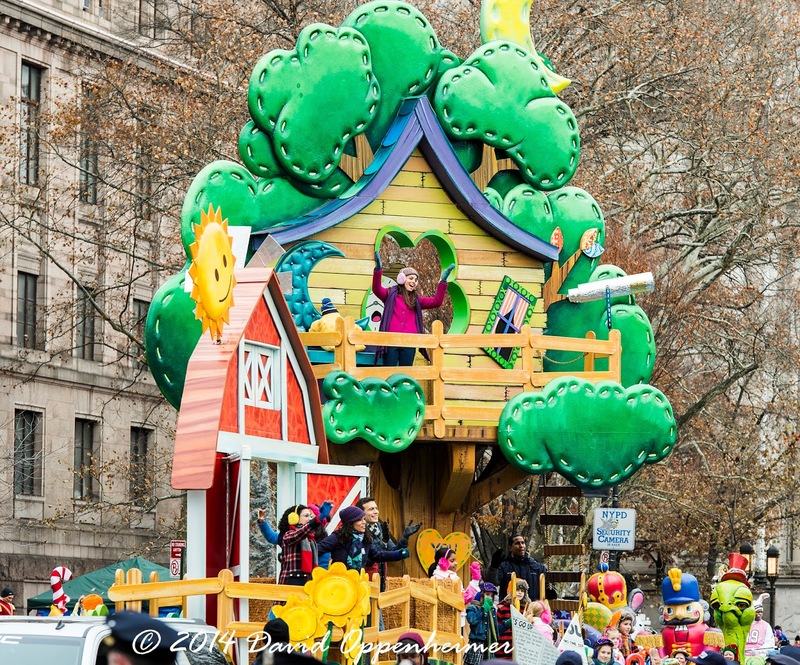 Performing on this float was Sprout’s icon, Chica and her fellow co-hosts from Sunny Side Up. Teenage Mutant Ninja Turtles by Nickelodeon - For the third year running, the Teenage Mutant Ninja Turtles Leonardo, Raphael, Donatello, and Michelangelo made their appearance at this legendary parade. They cruised down the street in their highly animated backdrop featuring roof tops, fire escapes, and window ledges. 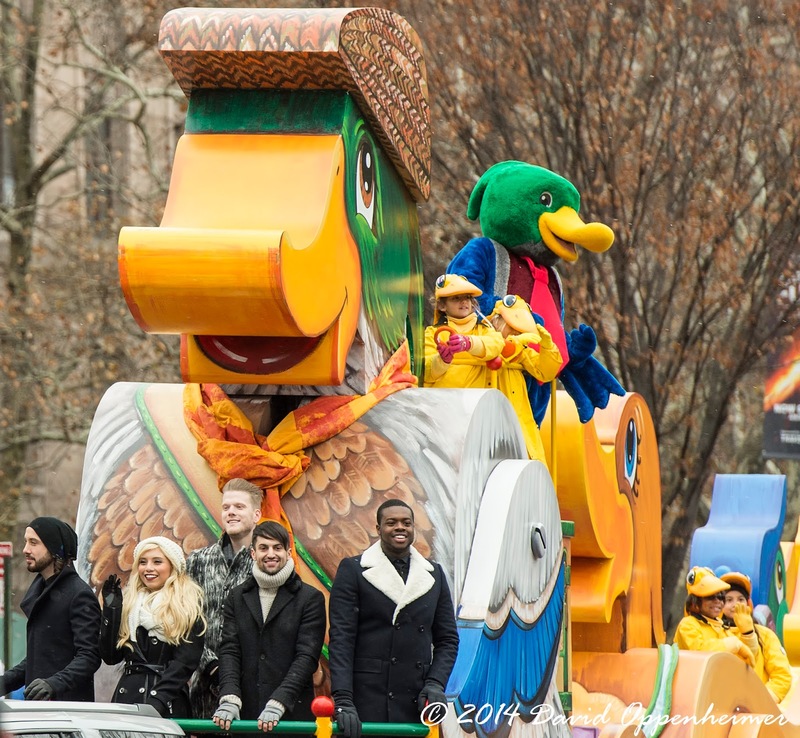 The TMNT float featured a performance by pop-rap duo MKTO. 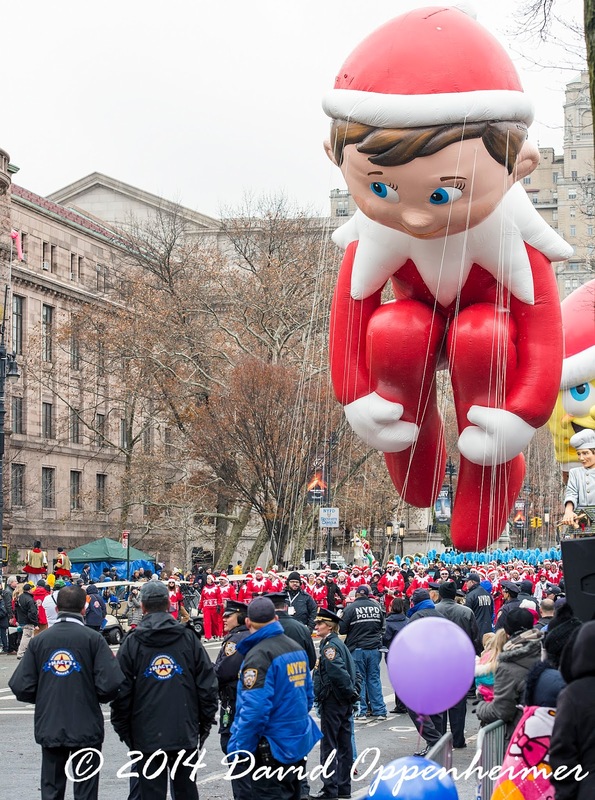 The Elf on the Shelf by CCA and B, LLC – The tallest balloon in Macy’s Thanksgiving Day Parade, The Elf on the Shelf, returned for his third year. Santa’s helper is always a lovable addition to the parade. The Enchanting World of Lindt Chocolate – The Lindt float depicts a huge chocolate shop run by the Lindt Master Chocolatier. The Chocolatier had marionettes controlling real life dancers. 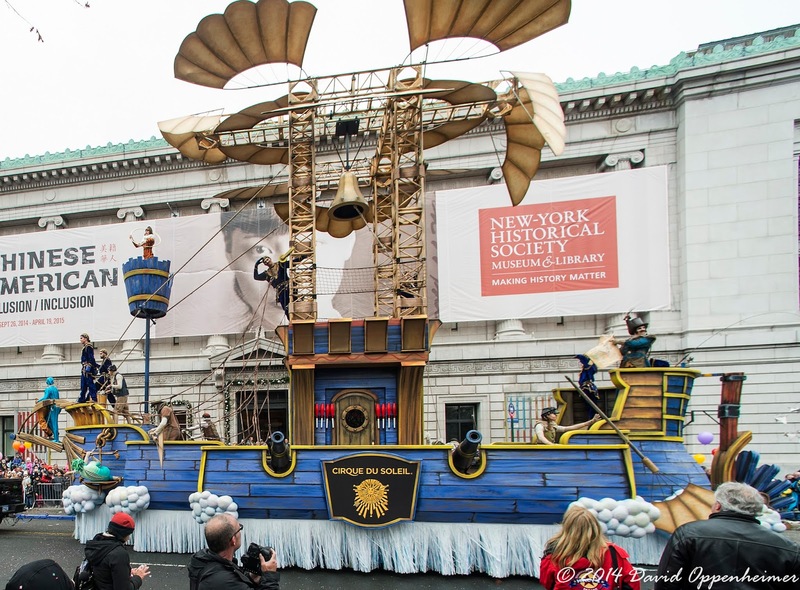 The Lindt float featured a performance by Tony Award winner and Broadway Superstar Idina Menzel. Toothless of How to Train Your Dragon by Dreamworks Animation – Joining us for his second year was Toothless from the hit series of children’s books and the How to Train your Dragon movies. 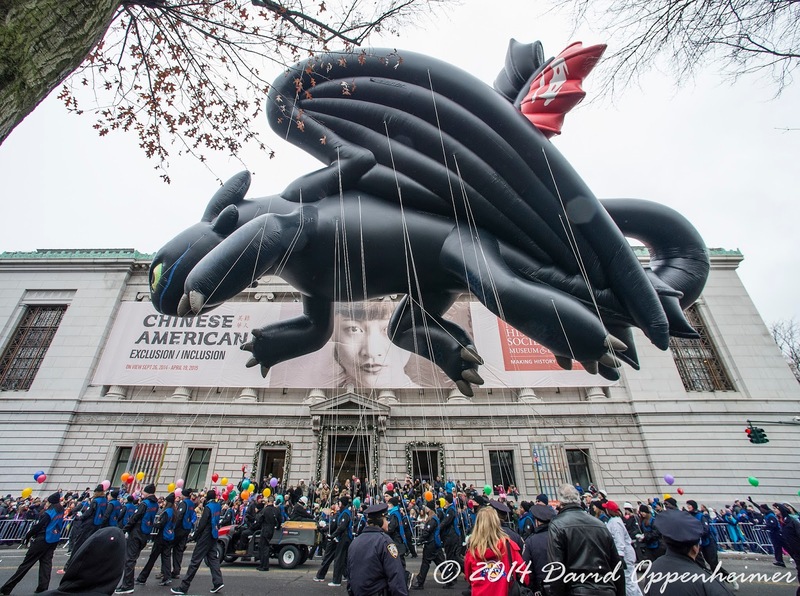 Toothless was the star of this year’s How to Train your Dragon 2, which came out earlier this year. Treasure Hunt by Pirate’s Booty – The grand pirate ship set sail through the streets with its Treasure Map sail raised high. The pirate ship featured the Pirate’s Booty Pirate and his pal Crunchy the Parrot, as well as the Disney Channel’s Sabrina Carpenter, star of the show Girl Meets World. 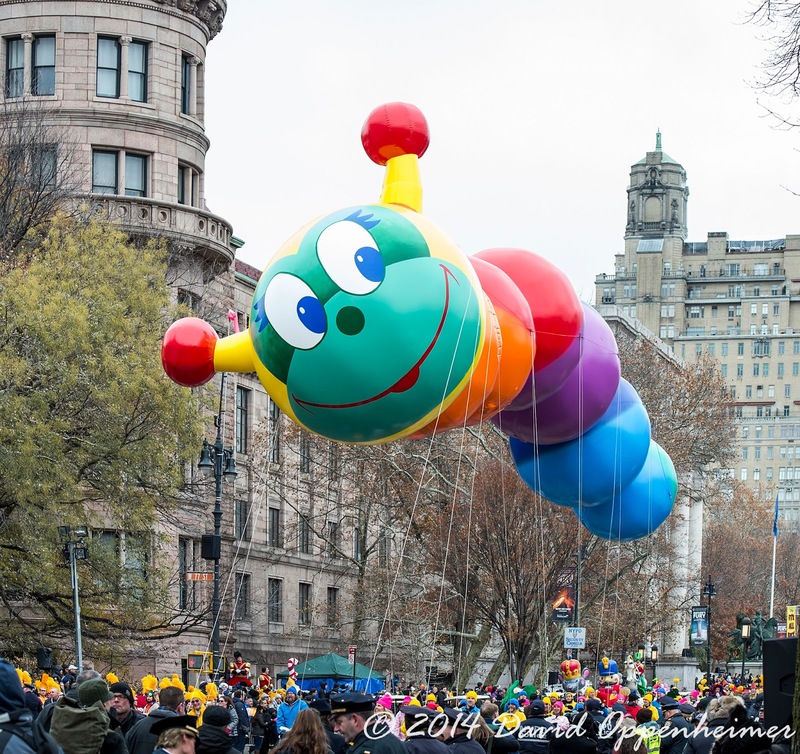 Wiggleworm – The Wiggleworm balloon in all its multicolored glory returned to the Parade this year. 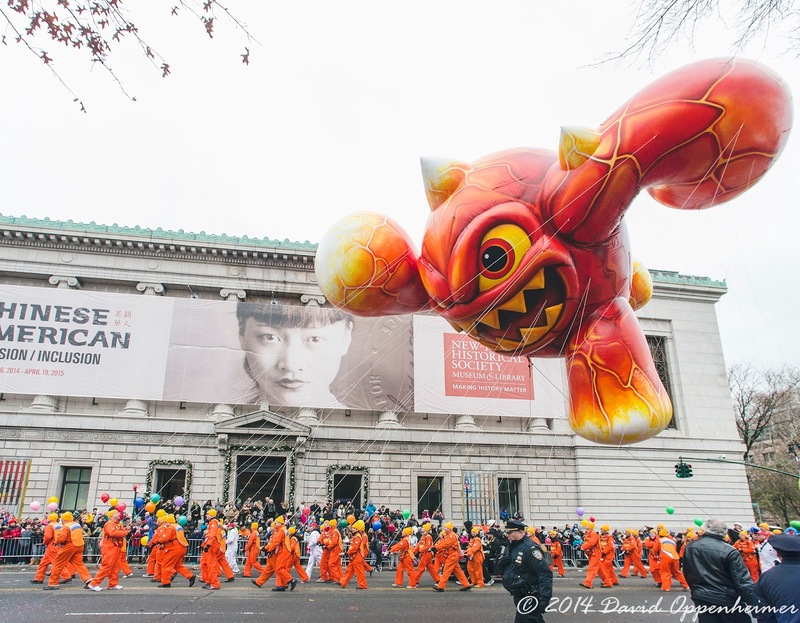 At 15-feet high, 19.3-feet wide and filed with 3,900 cubic feet of helium, this worm wiggled its way into spectators’ hearts this Thanksgiving. 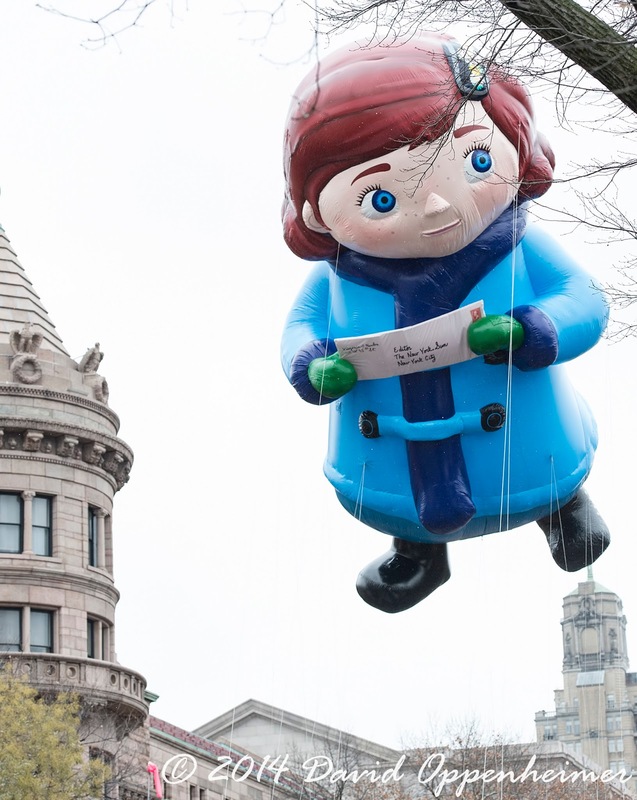 Virginia – This Float was modeled after the animated version of 8-year old Virginia O’Hanlon, who famously wrote to the editor of the New York Sun about the existence of Santa Claus. 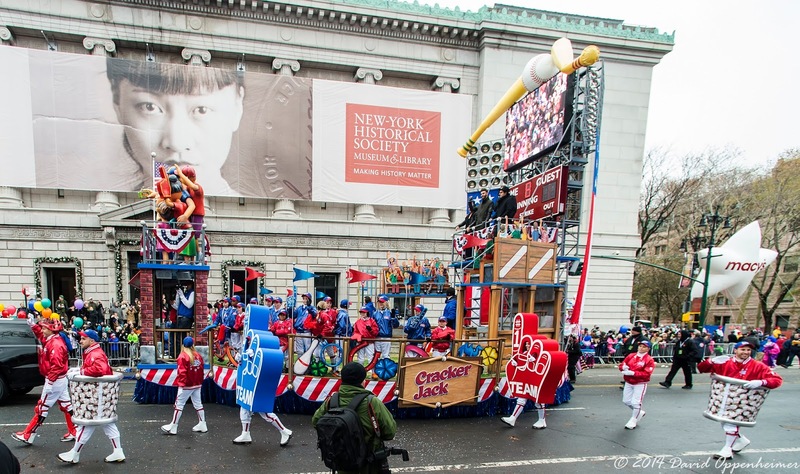 At the Ball Game by Cracker Jack Popcorn - This float was inspired by the traditional American pastime, baseball. The Cracker Jack float included a live camera for spectators to see them selves on a huge LED screen above the stadium scoreboard. 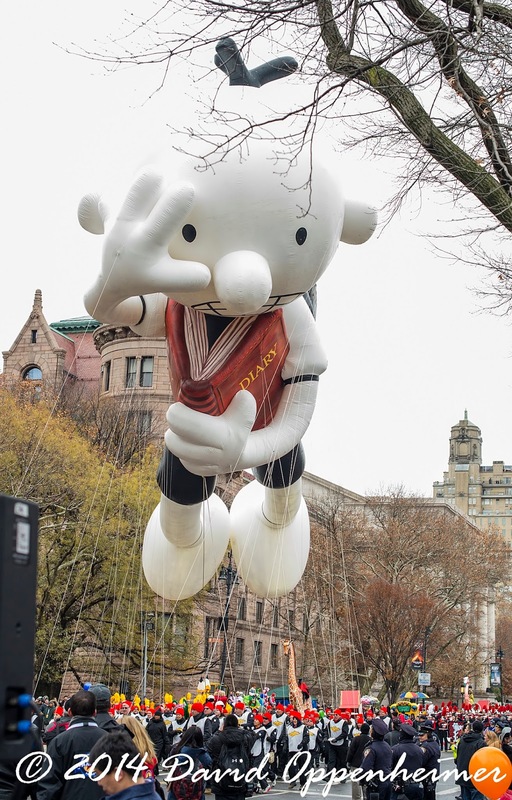 Diary of a Wimpy Kid by Amulet Books - The Wimpy Kid, Greg Heffley, is flying through the sky holding his Diary in celebration of the release of his ninth book, The Long Haul. 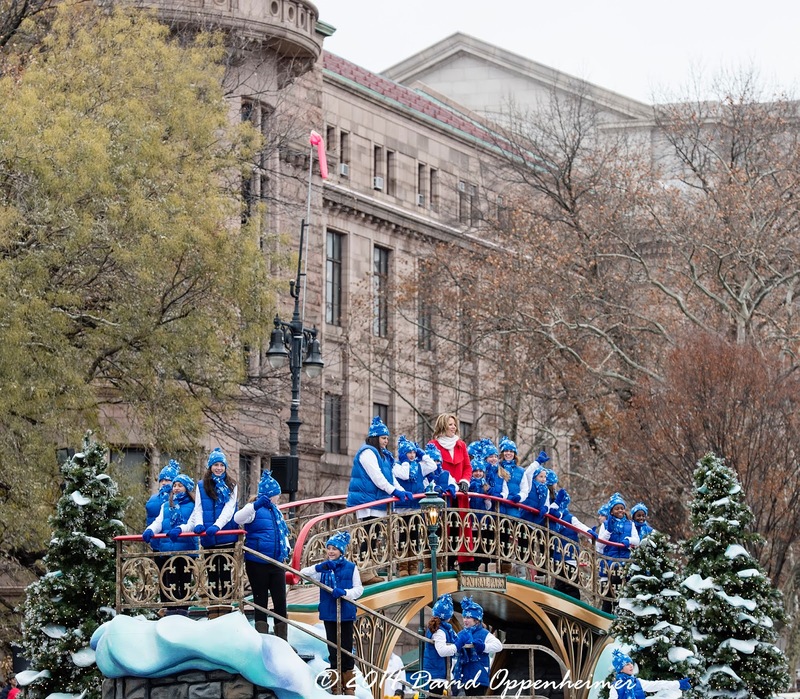 Santa’s Sleigh – The famous grand finale of the whole Macy’s Thanksgiving Day Parade, Santa Claus himself is what all of the children look forward to throughout the entire parade. It is said that during this parade is the moment that Santa leaves his snowy sanctuary to begin his enchanting journey around the globe.